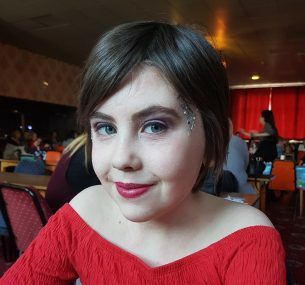 Aimee was diagnosed with acute myeloid leukaemia in January 2016 after having bruises and uncontrollable bleeding to her gums – she’d lost teeth in the previous months. 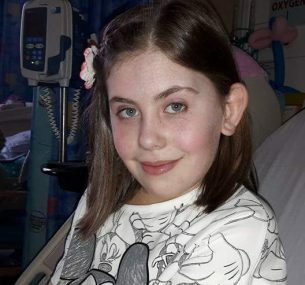 We were absolutely devastated when Aimee was diagnosed with AML. Our world fell apart. Aimee was taken to our local hospital after a rash appeared on her legs. The next morning we were a patient and family of Ward 84 in Royal Manchester Children’s Hospital (RMCH). Aimee underwent a gruelling course of chemotherapy, blood and platelet transfusions as well as antibiotics when she picked up infections. After six months Aimee achieved remission. 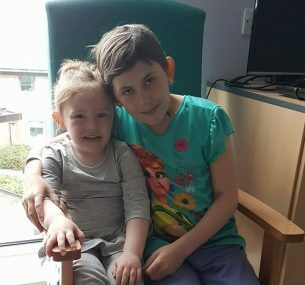 Unfortunately in September 2016 Aimee relapsed and had to go through more treatment to prepare her for a possible bone marrow transplant the following year. Thankfully Aimee achieved remission again and her transplant was arranged for January 2017. Her transplant ‘cord blood’ came from Australia and the operation went ahead on 24 January 2017. Over the past two years Aimee has been in hospital approximately 18 months, with some visits home when she was well enough. 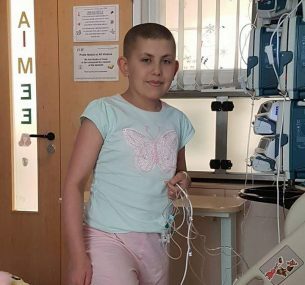 We were ready to come home in March 2017 but unfortunately Aimee was then diagnosed with Graft Versus Host Disease (GVHD) which is a complication from the transplant, which made her very poorly. After treatment for this, Aimee was finally able to come home after spending 117 days in hospital. Our family and friends rallied around to support us and help with childcare for Aimee’s little sister Tilly. Aimee’s dad was unable to work during this time so it has had a massive impact on us all, not only mentally but financially too. Aimee loves art, drama and listening to music. She is now thriving at high school and she has lots of support from her school. The school is in touch with us regularly. Aimee continues to be fit and well despite some mild side effects from the chemotherapy such as weak limbs. The doctors have advised that complications from the transplant can happen at any time. Aimee’s message to any child going through a similar situation is to keep fighting. Our message to the families is to take it one day at a time, try to remain positive. No matter how hard it gets, you need to be strong for your child. Research into childhood cancers is absolutely vital. We have met so many lovely families on Aimee’s journey who have lost their beautiful children to this terrible disease. There are lots of ways that you can help children like Aimee. From donating £5 to taking part in a run or organising your own event. Whatever you do or however much you raise, you really can make a difference to children living with cancer. If you have a story that you’d like to tell, please contact us by email today.